When planning a new warehouse, there's a huge amount of different factors that have to be considered - the type of items being stored, the available floor space and height in the building itself, and the correct storage system that will both maximise the use of the space available but also make it easy to access pallets. And even for experienced warehouse managers and logistics professionals, this kind of planning is much harder without the right tools. Britvic, a major UK manufacturer and producer of soft drinks, found one solution with UniCarriers' Logistics Analyser. Use of this tool allowed Britvic to build and model possible plans for their new warehouse, and find out which option would allow them to use the building as effectively as possible. 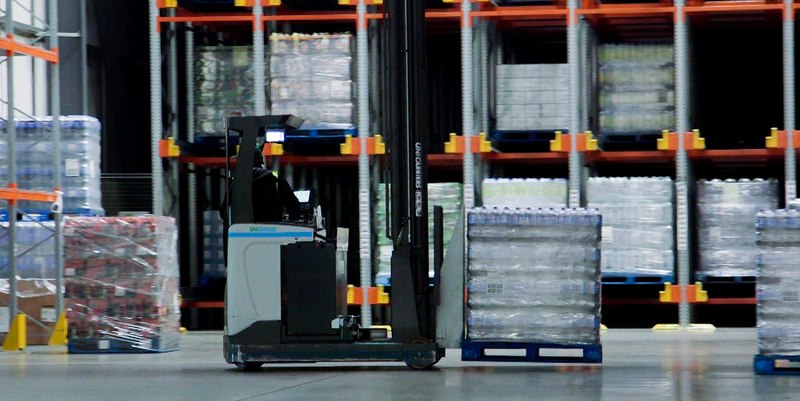 After the construction was complete, Britvic was left with an efficient high-bay warehouse, which uses shuttle racking and a fleet of reach trucks to keep the materials handling operation running as smoothly as possible. Want to learn more about how this kind of tool helped Britvic's business? Click the button below to get our full case study.